Charles Francis Smith, 77, Alexandria, passed away Wednesday at UPMC Presbyterian, Pittsburgh. He was born in Hollidaysburg, son of the late Francis and Dorothy Helen (Delozier) Smith. On June 24, 1961, he married Nancy (O’Connor) Smith. Surviving are his wife; five children: Christine Farabaugh of Alexandria, Amy Shinafelt and husband, Dennis, of Huntingdon, Amanda Rohrer of Mechanicsburg, Michael Smith and wife, Anita, of Alexandria and Gretchen Smith of Gibsonia; 14 grandchildren: Natalie Allison and husband, Patrick, Nickolas Farabaugh and wife, Ashley, Michele Bookhammer and husband, Jarrod, Denise Long and husband, Ed, Erin Spokas and husband, Brad, Chase Rohrer, Reece Rohrer, Michaela Smith, Jared Smith, Halee Smith, Olivia Smith, Charle Smith, Bridget Dunn and Trevor Dunn; six great-grandchildren: Bryant Allison, Ava Allison, Delani Farabaugh, Kaylee Simpson, Corrin Bookhammer and Emma Bookhammer; and a sister, Doris Ogden of Hollidaysburg. He was preceded in death by an infant sister, Kathleen Smith. Charles was a 1958 graduate of Hollidaysburg High School, and in 1971, he moved to Alexandria. In 2005, he retired as a paper tester for Appvion (formerly Appleton Inc.) after 43 years of service. He also was a part-time farmer. 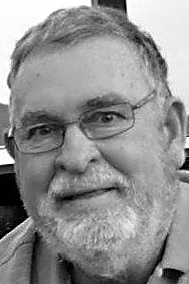 He was a member of Zion Lutheran Church, Petersburg, and a lifetime member of Globe Run Rod and Gun Club, Huntingdon. Charles was involved with the Future Farmers of America and 4-H for many years. He enjoyed spending time with his family, hunting, fishing and farming. He also enjoyed farming hay (he KNEW horse hay) and taking it to Belleville and Martinsburg sales. 11 a.m. funeral service on Monday, June 18, 2018, at Zion Lutheran Church, 501 St. Peters St., Petersburg, Pastor Jennifer Soltis officiating. A private interment will be held afterward. Memorial contributions may be made to Zion Lutheran Church, P.O. Box 253, Petersburg, PA 16669.